During the early stages of embryonic development pluripotent cells receive combinations of signals that restrict their potentiality and divert their path towards a specific fate. In these early developmental phases, the axis of bilateral symmetry is established and through gastrulation the embryo body plan is established. In amniotes (e.g. reptiles, including avians, and mammals) the early embryo develops according to a “regulative” modality, perfectly exemplified by the early steps of chick embryo development. 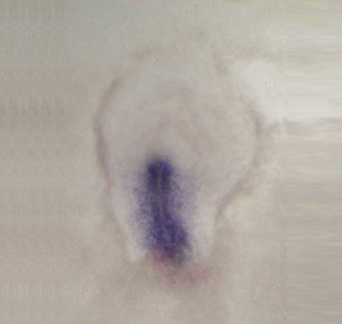 The pre-gastrulating chick embryo is a flat single-layered blastodisc, containing up to 60000 cells. 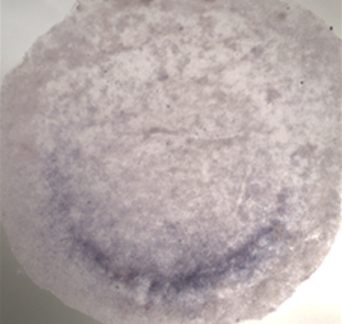 If this round flat embryo is cut in pie-shaped slices, each piece will generate an embryonic axis, suggesting that interplay between inducing and inhibiting signals shapes the early embryo ensuring the formation of a single embryonic axis. In avians and mammals, the early manifestation of axis formation is the appearance of a thick rod of cells called primitive streak, growing centripetally from the periphery towards the central portion of the embryo. The primitive streak is a transient structure, crucial for gastrulation to occur, when superficial cells migrate through the primitive streak and, in some still unknown way, stratify in the mesoderm and endoderm layers. We are interested in the molecular devices regulating these early events of embryonic development, from the establishment of the embryonic axis to the migration of cell from the streak into the mesoderm and endoderm layers. We use chick as experimental system. In addition, we are extending our interest to a comparative analysis of early developmental stages among diverse amniotes, with a specific focus on reptiles. One of the key events during the early stages of embryonic development is the acquisition of bilateral symmetry, from an originally radially symmetric group of dividing cells (Figure 1A to C). 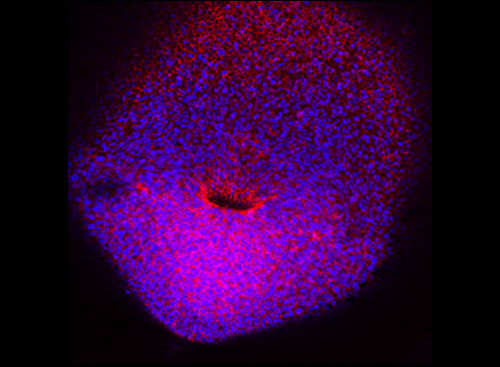 Multi-potent embryonic cells are subject to cues that divert their fate towards a specific destination, cues that comprehend both inducing and inhibitory signals. 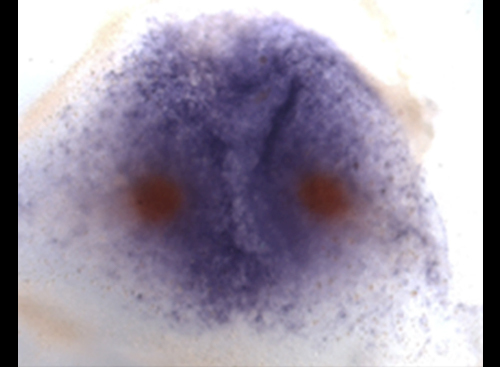 This is of particular relevance if considering that amniote embryos have highly regulative properties: if the pre-gastrulating chick embryo is cut in half, each isolated half can generate an embryonic axis. In the past, we have described several inhibitory mechanisms that intervene in preventing the formation of multiple axes in such a regulative environment, taking place at different times and located in distinct positions in the embryo (Figure 2). indicates how the two signals, originally distributed ubiquitously, can re-arrange a symmetrical group of cells into a polarized embryo with anterior and posterior positions, with the factors themselves getting distributed on opposite side of the embryo (e.g. the future posterior and anterior regions, respectively) (see Figure 4). The model predicts correctly that ectopic expression of BMP4 causes multiple axes, exemplified by the appearances of multiple primitive streaks (Figure 5). We are currently investigating the molecular details of these molecular interactions. Are the devices establishing axis formation in avian conserved in amniotes? 2) Amniotes: insights into the developmental mechanisms of reptile development (other than birds). 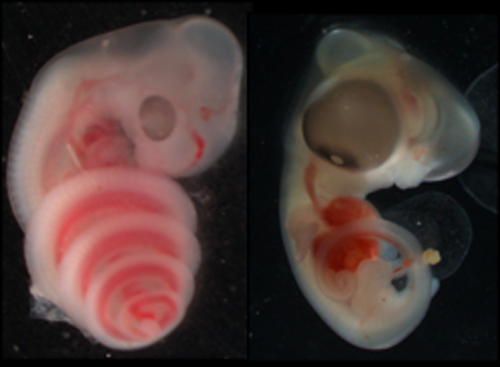 We started analysing the early developmental stages of turtle (Trachemys scripta) and chameleon (Chamaeleo calyptratus) embryos. We confirmed the absence of a primitive streak during gastrulation and decided to study the molecular mechanisms driving formation of the primitive streak in non-reptilian amniotes, in a comparative analysis with the reptilian embryos. 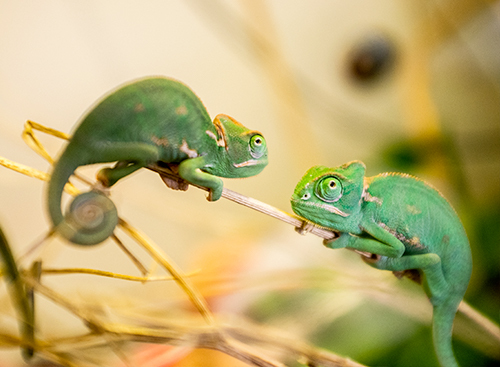 Because of their position in the amnions evolutionary tree, reptiles offer a unique insight into the path to evolution that characterized the amniote clade. We started characterizing reptilian gastrulation, with a detailed morphological characterization of the chameleon gastrulation site (Figure 6.). How the avian primitive streak evolved from a blastopore-like internalization site of reptilian is the object of the current studies (Figure 7). 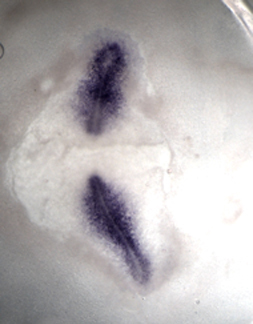 While an extensive amount of work has been invested in the understanding the development of organs like pancreas lungs or liver, very little is known about the early step of endoderm formation and patterning at and after gastrulation. 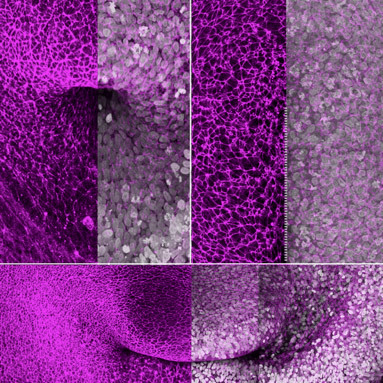 We are interested in the molecular and morphological characterization of the early-forming endoderm layer as the cells come out of the primitive streak; these lower layer cells will eventually give rise to diverse endoderm structure along the antero-posterior and medio-lateral axes, but when and how this specification step occurs is still unknown. 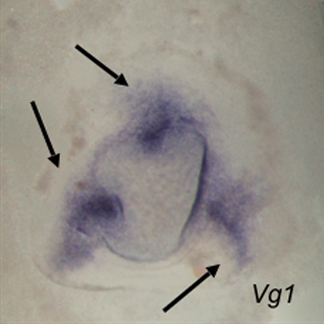 PGC localization in the gonadal ridge of the developing vertebrate embryo has been plentifully described. However, the initial steps of PGC specification, their migration to the anterior germinal crescent and, subsequently, to the forming germinal ridge, have been poorly characterized. What we call PGCs represents a heterogeneous group of cells, deriving from pre-PGCs according to still unknown molecular cues. 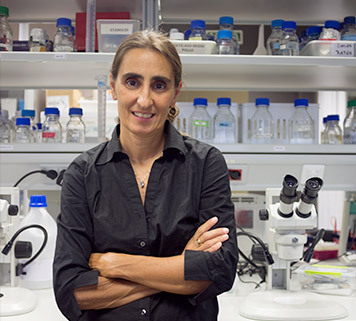 We are interested in the early steps of pre-PGC specification (and PGC) and their movements in the post-gastrulating embryo, as the knowledge of the gene regulatory network driving the specification of this unique population of cells would open a gateway in the field reproduction. 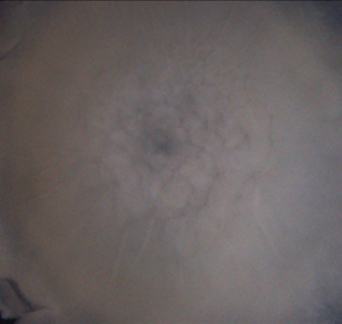 5) Primitive streak formation at gastrulation: still an unsolved mystery. The quest for the molecular devices that guide (supposedly) naïve cells to internalize/rearrange at gastrulation is still one of the most challenging and unresolved questions in developmental biology. Despite the efforts in studying the movements of cells, it is extremely difficult to get insight in a process where in a relatively short period of time cells are involved in massive morphogenetic movements and receive signals that pattern them and change or address their fate. Considering that in this window of time (e.g. gastrulation) cells diversify, with endoderm and mesoderm fates being specified, it is paramount to understand the flow of information cells are subject to. This becomes even more incumbent if we think of the effort deployed in regenerative medicine, where huge efforts in differentiate naïve ES cells have been on the making for the past few years. 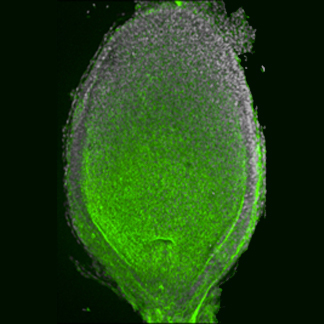 Dissecting the events driving gastrulation is imperative in precisely this direction, in order to have control over the mechanisms of differentiation of pluripotent cells towards a precise fate, both in the embryo (early development) and in culture (ES cells systems). This is a challenge we are willing to take using chick as experimental system. Plastics are synthetic polymers derived from fossil oils and largely resistant to degradation. Mass production of plastics started after WWII and grew exponentially after the second half of 20th century. Polystyrene (PS) and polyvinyl chloride (PVC) were among the first to be created in the first half of last century, followed by the invention of polyethylene (PE) in the ‘50s. The production of these new materials burst over the past 60 years, and they entered compellingly into our daily life, bringing a revolution in our society and a new way of living. Plastics became an essential material in many fields, as in infrastructures, electronics, medicine and bio-medical research, just to mention some. However, this revolution came with a price, that is the accumulation of plastic waste. Synthetic polymers (PE, PET, polystyrene, etc.) are durable and ductile materials used to form and package billions of products. However, this massive usage of polymers generates the accumulation of millions of tonnes of plastic waste. In the past 40 years the production of plastics increased exponentially, with PE heading this trend by far. Although many efforts are on-going to minimise the environmental impact of plastic waste, millions of tonnes of various polymers are accumulated in landfill and dispersed in oceans and on lands. Adopting several diverse and complementing measures might help to curb the problem. For example recycling and development of bio-material, usable instead of plastics, are two solutions where the efforts have been canalized in the past few years. A third complementing solution is biodegradation. Bio-degradation represents the most difficult path, given the resilience of plastics; nonetheless a solution in this direction would be revolutionary and would strongly attenuate the environmental impact petrol derived compounds have to date. A new discovery might open a new way to develop a biodegradation technology. 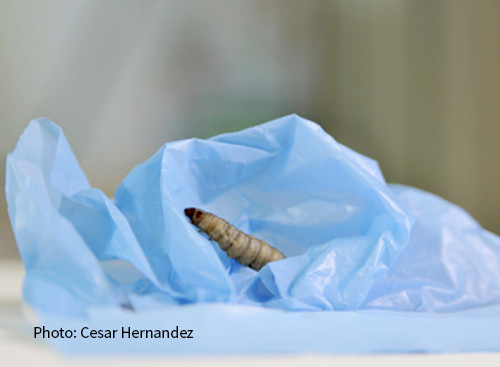 Convergent observations showed that other larvae (Plodia interpunctella and Tenebrio molitor) and their symbiotic bacteria (Enterobacter asburiae and Exiguobacterium) can attack PET and polystyrene although with a significantly slower timing. All these observations support the idea that in nature we might be able to find the answer to plastic pollution and a solution to resolve the problem of plastic waste accumulation.